UPDATED, March 28, 1:20 p.m.: A former JLL capital markets broker claims in a lawsuit that her supervisor ordered her to commit securities fraud and enabled clients to sexually harass her, and that the company ignored her repeated complaints. 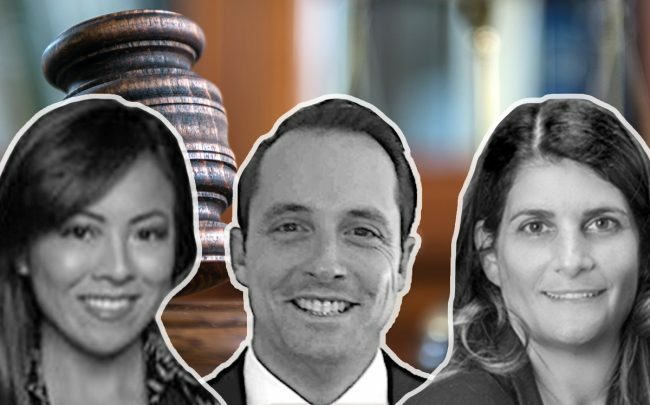 Amanda Ly, who worked in JLL’s Los Angeles office until December, says that JLL “perpetrated a corrupt culture that valued profits over basic decency and that was hostile, offensive, and belittling.” Ly filed the suit in L.A. County Superior Court. Ly started at JLL in September as a distribution banker in the firm’s North America Global Funds Advisory division. Problems started in the first two weeks of employment, she alleges, pointing to her direct supervisor, Jerry Cain; and his direct supervisor, Matilde Attolico. Both are named as defendants, along with JLL, in the lawsuit that was filed March 7. JLL, which recently agreed to acquire HFF, created the Global Funds Advisory team in mid-2017. The Chicago-based company hired Attolico as a manager for the team a short time later, according to its press release. Cain joined JLL last August, not long before Ly began. In the suit, Ly claims that Cain repeatedly instructed her to illegally solicit investments for a fund run by a client, Slate Asset Management. That’s despite the fact that Cain knew Ly didn’t have the necessary securities license to do so, according to the suit. She also alleges Cain also instructed her to lie about how much money had already been invested in Slate’s fund in order to solicit more investors. Ly later turned to Attolico for help, but alleges she found none. Attolico, head of the Global Funds Advisory team and Cain’s boss, allegedly told her to “work around” him. Later, she reproached Ly for bringing up Cain’s alleged activity to JLL’s compliance officer, Ly says. The suit says Attolico defended Cain because of his track record raising money for clients. In December, Ly says she went to a JLL human resources official with her concern. That person, Emma Mon, also brushed off the complaints, according to the suit, and told Ly she should “mutually separate” from the company. A short time later, the company deleted her email address and terminated her employment, the suit claims. Per the lawsuit, an internal investigation that wrapped up at the end of January found Ly’s claim’s “could not be substantiated,” although Ly says no internal investigator ever asked to speak with her about her allegations. Ly’s attorney declined to comment. Cain and Attolico could not be reached. Update: This story has been updated to include a comment from JLL.